I filled my Ferry’s Seeds Box with a bit of fall. . . 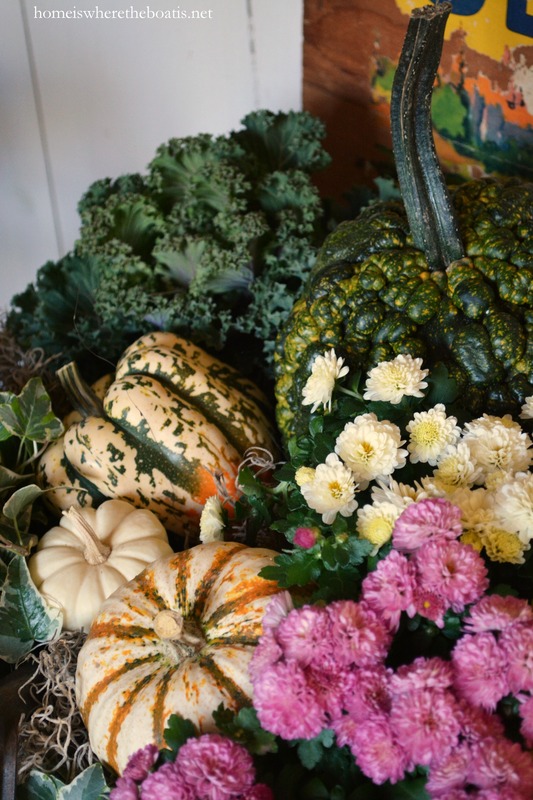 Some mums and pumpkins. 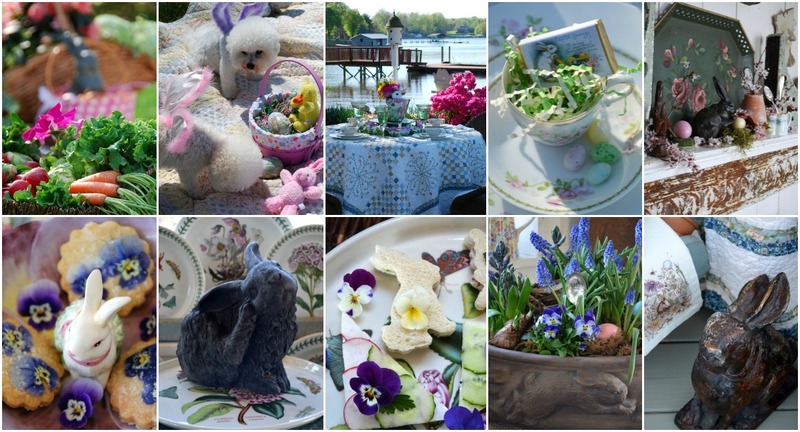 . .
Ornamental kale, gourds and ivy to soften and spill over the sides. And tucked them in together in my vintage Ferry’s Seeds Box with a little Spanish moss. 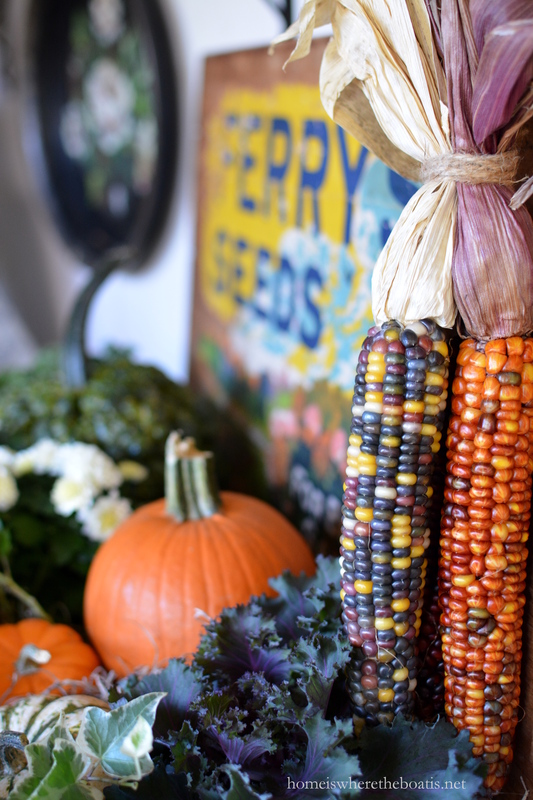 I hung a bundle of Indian corn for some seasonal texture and color. 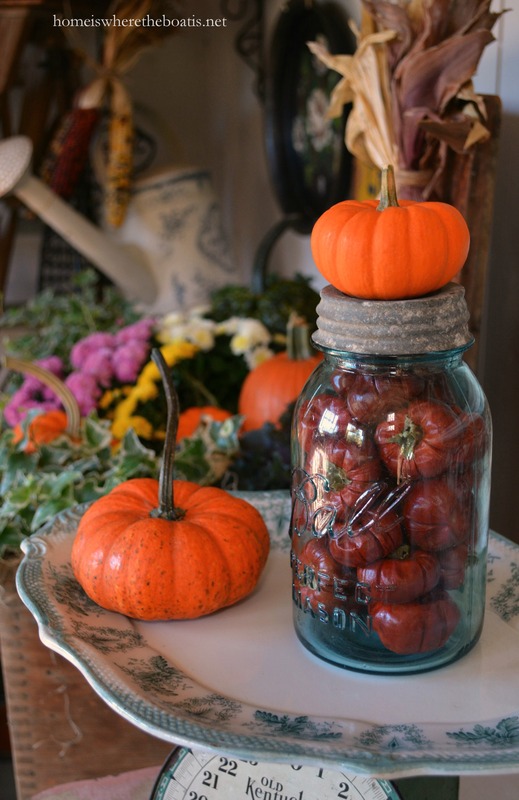 I’m weighing in on Ball Jar love and pumpkins. . .
And dried putka pods that look like mini pumpkins. 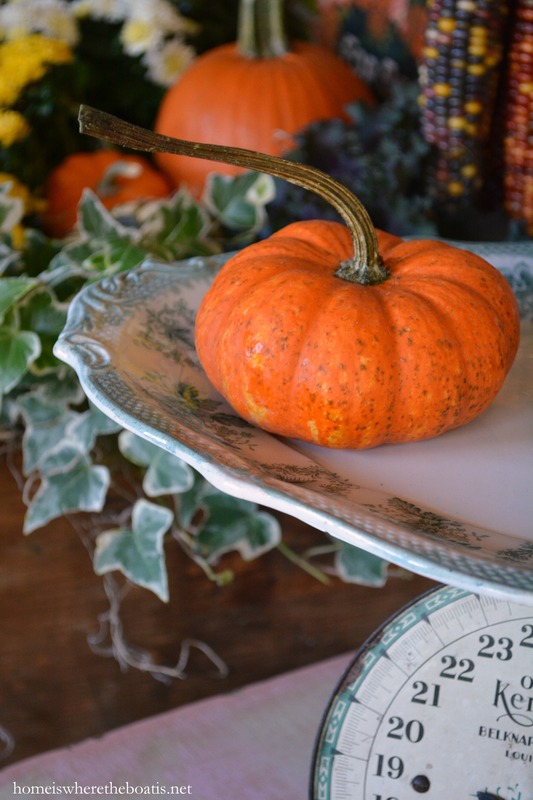 Hope you’re enjoying a beautiful fall! “Dried putka pods”!! Now I know what the “mini-pumpkins” I purchased years ago in Florida are called!! I love mine! Still not certain what a “putka pod” is but at least now I have a name and will be able to look them up. Thank you, Mary, for a lovely breath of fall this morning. I think she’s referring to the fruit in the that’s sitting on the scale. Look forward everyday to your wonderful blogs. Thanks. Beautiful display, gosh I love the change of seasons. Always inspiring!! Always beautiful! I pulled out my geraniums, ferns and sweet potato vine from my window boxes and discovered a HUGE sweet potato! and a tiny one too.. ha.. Now the boxes are filled w/ different colored pumpkins and gourds.. also filled my planter by the front door with pumpkins and a mum.. never yellow.. like the bronze and purple ones best. I love love your eye for design and style! 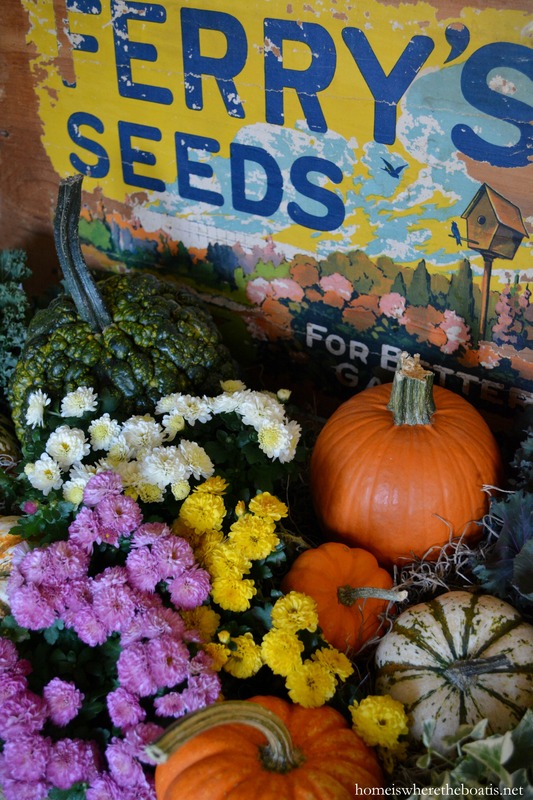 October is such a glorious month and you’ve captured its beauty and frivolous fun with this fabulous seed box Mary! Plus everything else! I’ve never heard of putka pods, but I did buy some mini pumpkin like things growing on stems that I couldn’t figure out what they were, they must be putkas? They look great in the jar! Of course your ladder rocks every season too! We are on the coast with cool nights yet warm enough to swim days, and enjoying every second of the “year’s last loveliest smile” :). Happy Weekend! 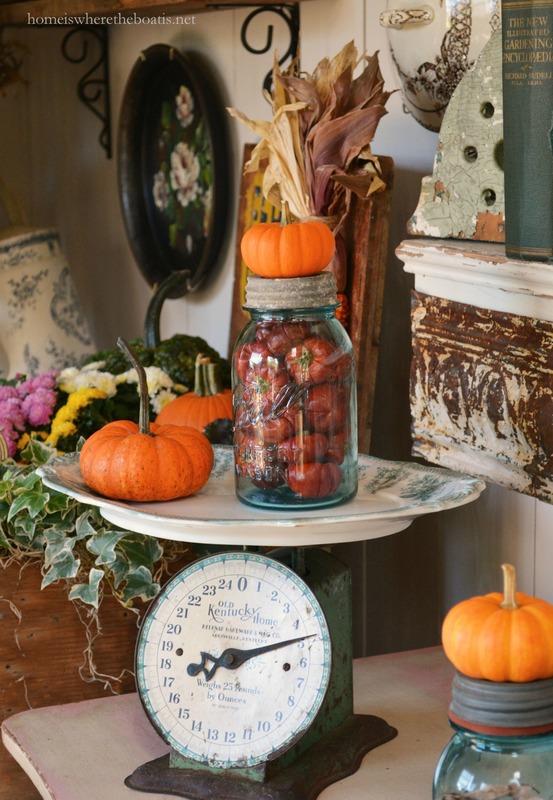 Mary, just love this–especially the Ball jar! Up here in VA I’m collecting hedge apples to bring in some bright green. Beautiful!! 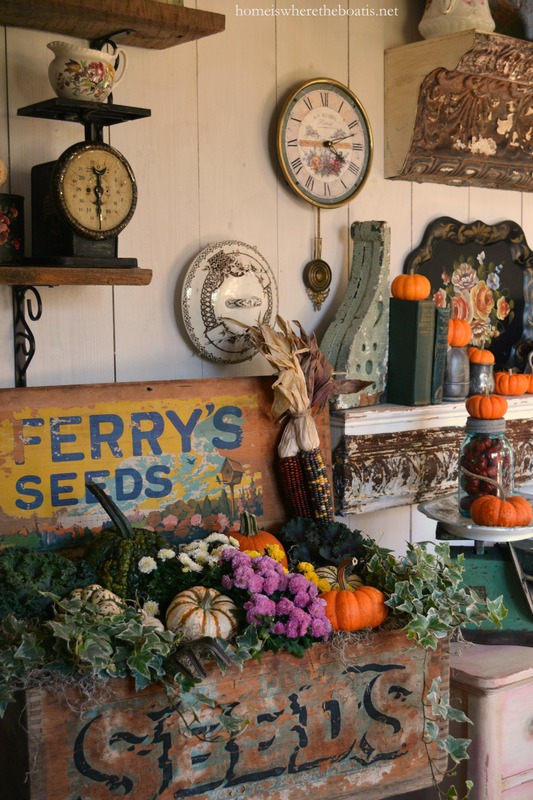 Your potting shed is a treasure trove and a feast for the eyes! Thank you for sharing!! How I oh so love when you dress up the seed box for every season. And then you move to the surrounding areas with more gorgeous vignettes. Every time I think it can’t get any more beautiful you do it again!! 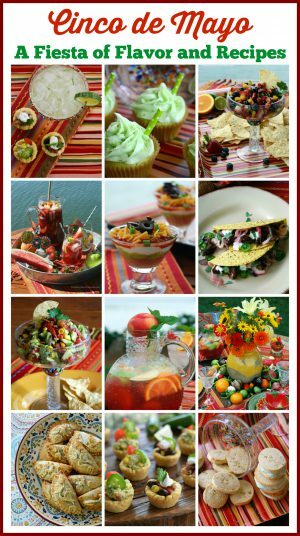 Have a wonderful weekend enjoying this glorious weather! Mary I am always inspired by your posts. I have been busy putting my flower gardens to bed for the long winter. We are supposed to get a killing frost. My little Potting Shed will be filled with pots from the yard and anything I don’t want to break in the cold. I love how you use your shed. It is like a giant playhouse. OK I am slacking here, I need to get some more fall out! Happy October Mary! 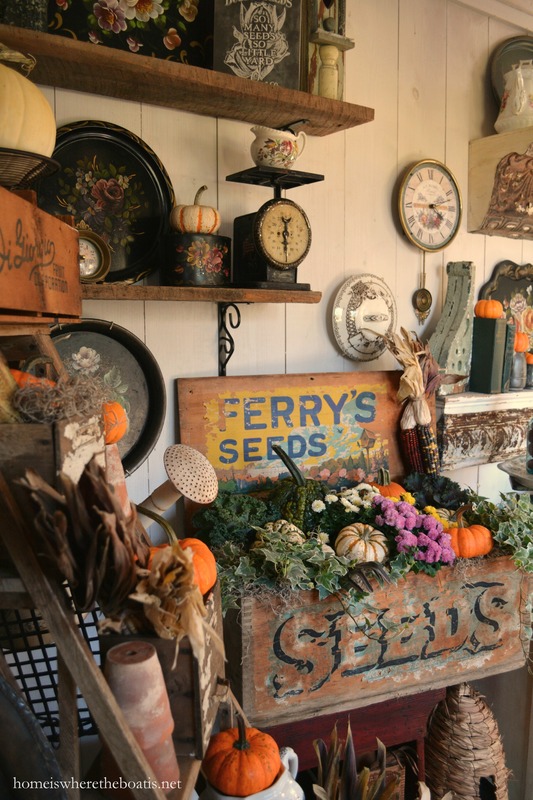 The potting shed is fun any time of year, but since autumn is my favorite season I especially like how you dressed this magical space. 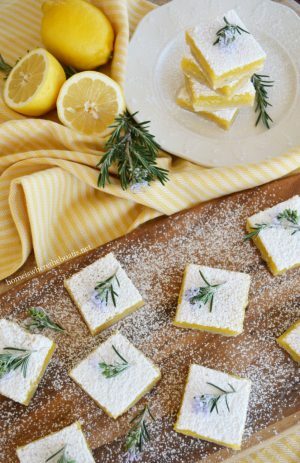 The tole trays mixed with other vintage goodness really makes this space special. 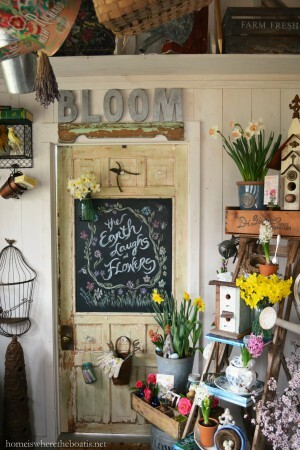 I always smile at how yo’ve styled the ladder, not to mention the window box and front porch. Autumn at its best! 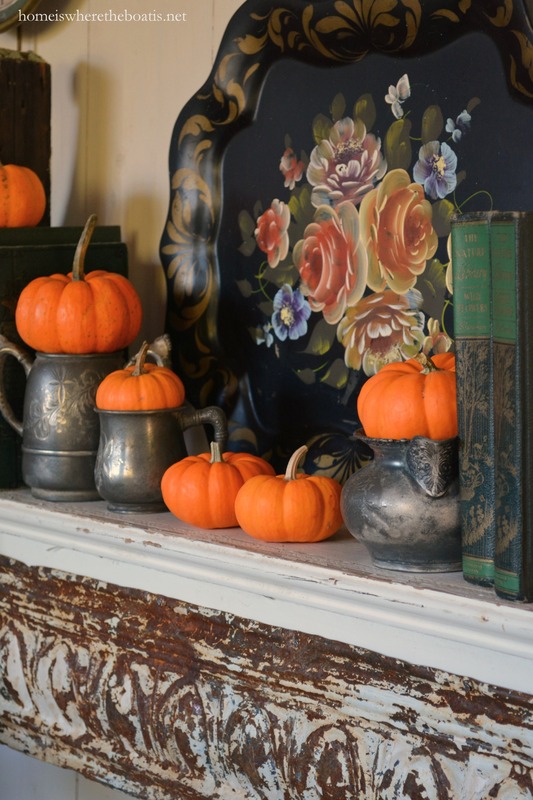 Love your fall decorations with the pumpkins, etc. The trees in our area of Virginia are starting to turn color. It’s supposed to be only in the 50’s this weekend with low’s in the 40’s and 30’s. 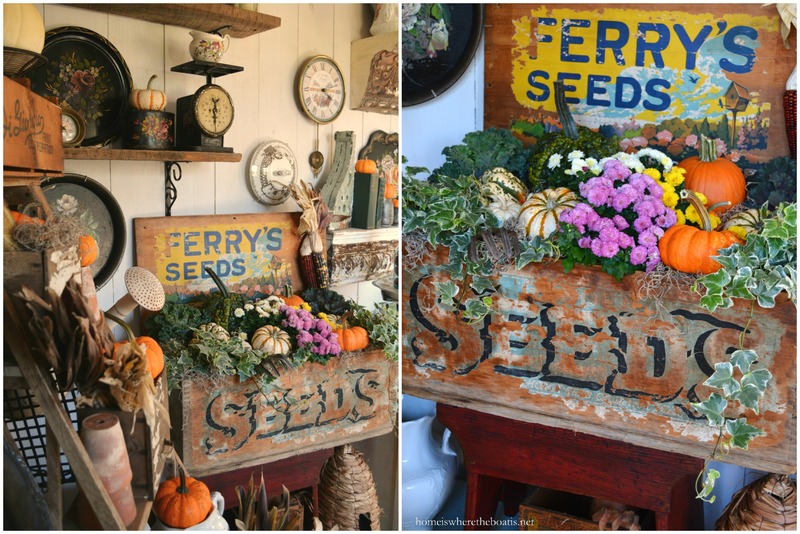 Mary, I have always admired that seed box, but you’ve certainly accentuated its beauty with your fall display. 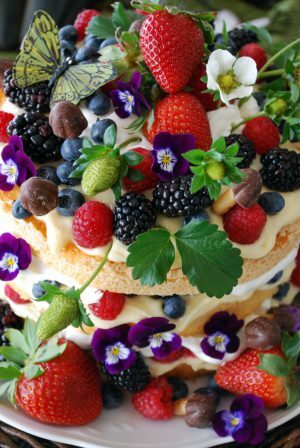 I am always inspired by your talents in display! Hope you are enjoying this glorious weather we’re having! 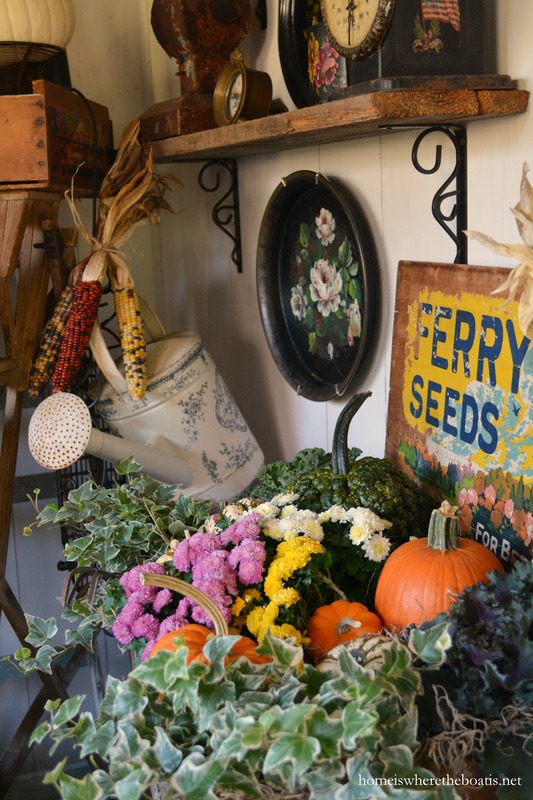 I enjoyed seeing your lovely Fall inspiration in your potting shed, Mary. I never knew about putka pods, but they sure do look like mini pumpkins. Would love to find a Seed box like yours. I’m fluffing my shed for fall and still working on the inside. I have major shed-envy for yours. My heart starts flying when I get Shed posts from you….Your pictures and posts are always amazing! Thanks for your wonderful inspiration and ideas! Happy Fall Mary!!!!! 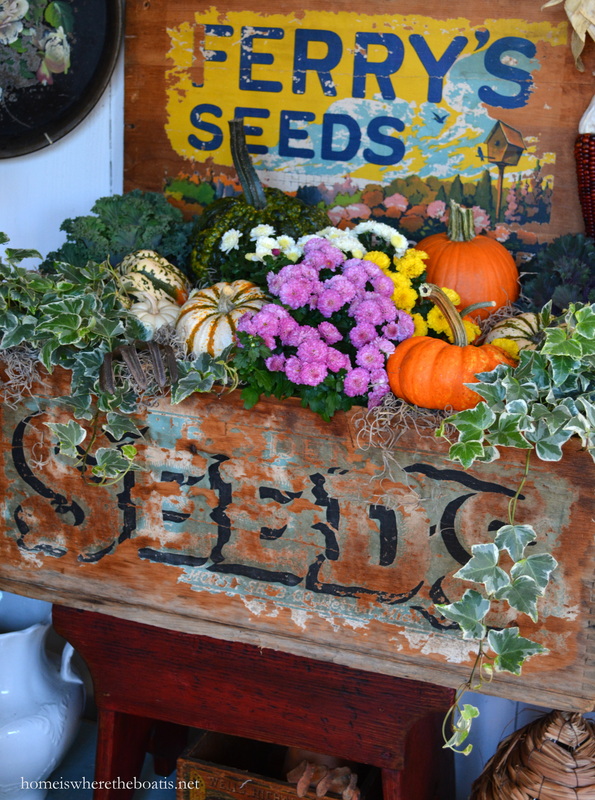 Love the Seed box… stunning! I have never heard of putka pods but will be looking for some now! Your display is beautiful, as always!